Preheat your oven to 425 degrees F. Toss the sweet potatoes in the melted butter and place them in a single layer on a baking sheet. Sprinkle the potatoes with salt and bake for 15-20 minutes, flipping halfway through cooking time. In a small saucepan over medium heat, bring the maple syrup to a simmer and then stir in the pecans and simmer for 2 minutes. Remove from heat. 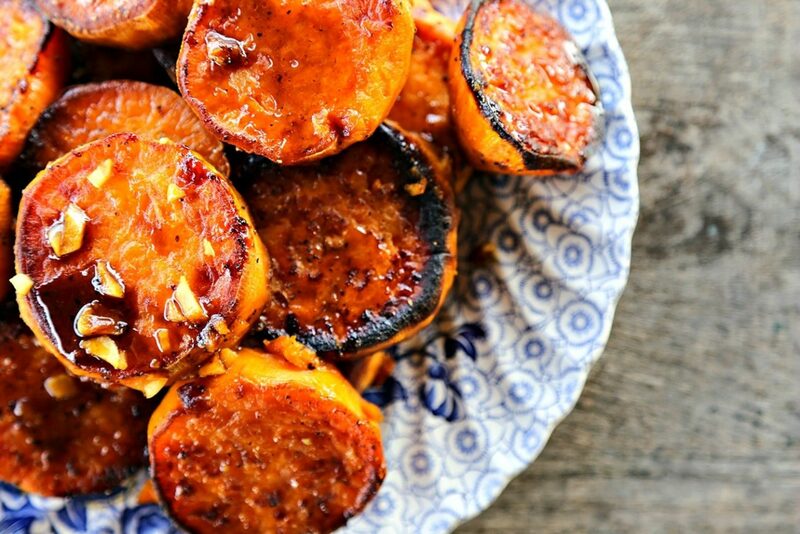 Place the cooked sweet potatoes on a serving and pour the pecan glaze over them. Serve immediately.